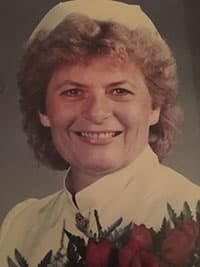 Mary Elizabeth (Betty) Platt - Edmonton's Burial & Cremation Professionals | Trinity Funeral Home Ltd. It is with great sadness that we announce the passing of our dear wife, mother and grandmother Betty on February 4, 2019. She is survived by her loving husband Gary, sons Rick (Treena), Darren (Juanita), and Randy (Amm), and her sister Donna. She will be sadly missed by her grandchildren Jesse, Bobby, Brendan, Jessica, Jayden, Daniel, Andrew and Mary. She is predeceased by her brother Bill and sister in law Ruth, sister Ann, as well as her parents. She leaves behind many nieces and nephews as well as friends who will miss her dearly. Dwayne and I sadden to hear about Betty. May the memories of all the good times comfort you all as you grieve this terrible loss. We know she will be greatly missed!